Wealth Success International Trading LTD was founded in 2001 in Hong Kong. The one of main focus of our business was importing machinery and electronics from Japan, Europe, USA and Korea, another of our main business was exporting machinery and electronics that made in China. Our main customers are from the steel, electric, port, oil field, chemical, paper manufacturing and rubber industries, among many others. After several year in this business, we have cultivated many strong relationships with our customers. We have branch in Shanghai, Tokyo and Duesseldorf. 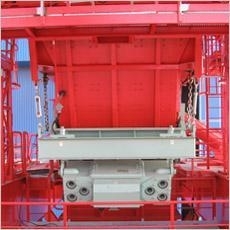 Sale Range: Japanese & Europe Industial Machinery equipment. Industial Machinery equipment Made in China. OGURA CLUCH & BRAKE)、TSUBAK、EPSON ROBOT、KYOWA UNIVERSAL JOINTS、ASAHI AIR CLUTCH、SGK PEARL ROTARY JOINTS、NISSEI GEAR MOTOR.